Take paracetamol or ibuprofen for pain relief. If taking ibuprofen, make sure you take it with food. Read the patient information leaflet before taking any medicine. Hot or cold compression packs, available from larger pharmacies, can also help with the pain. You can make your own cold compression pack by wrapping a bag of frozen food in a towel. Place a small firm cushion beneath your knees when you’re sleeping on your side. Or use several firm pillows to prop up your knees when lying on your back. It’s important to remain mobile by carrying on with your day-to-day activities, including work, as much as possible. Stay positive: studies show that if you keep positive, you’re likely to make a quicker recovery. Take care when lifting objects. If your back pain is no better after at least two weeks of self-care or you develop other symptoms, your back pain gets worse or you need further advice, speak to your pharmacist and they can recommend other treatments and will advise you if you need to contact your GP. If your back pain is no better after at least two weeks or you develop other symptoms then contact your GP. 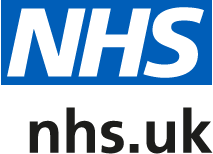 NHS Choices Back Pain Guide – advice on treating and preventing back pain.